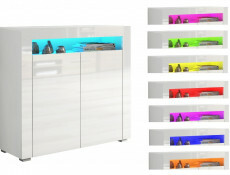 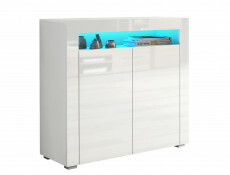 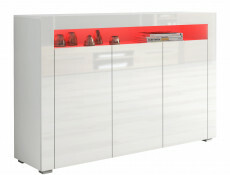 Modern large White High Gloss Sideboard Unit Cabinet with RGB colour changing LED Light from beautiful and minimalist Lily range. 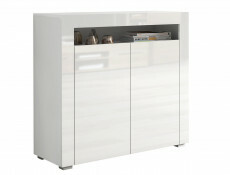 Doors and top of the unit are in white high gloss finish. 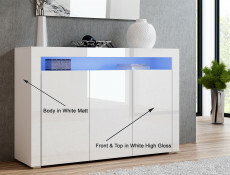 Body of the unit in white matt finish. Modern sideboard cabinet in sought after white gloss finish with open shelf area above the three doors. 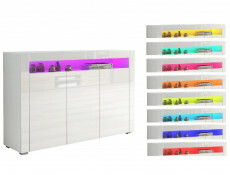 Open shelf area can be lit up using LED strip lighting. 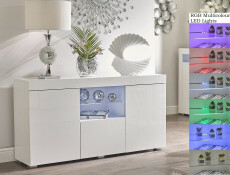 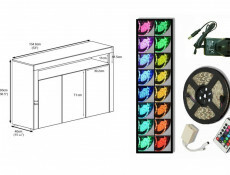 Colour changing RGB LED lighting is mains operated and comes with remote control enabling to select different color options. Doors have high quality hinges with soft close mechanism. Doors are in high gloss finish and have protective film over them that needs to be removed prior to use. 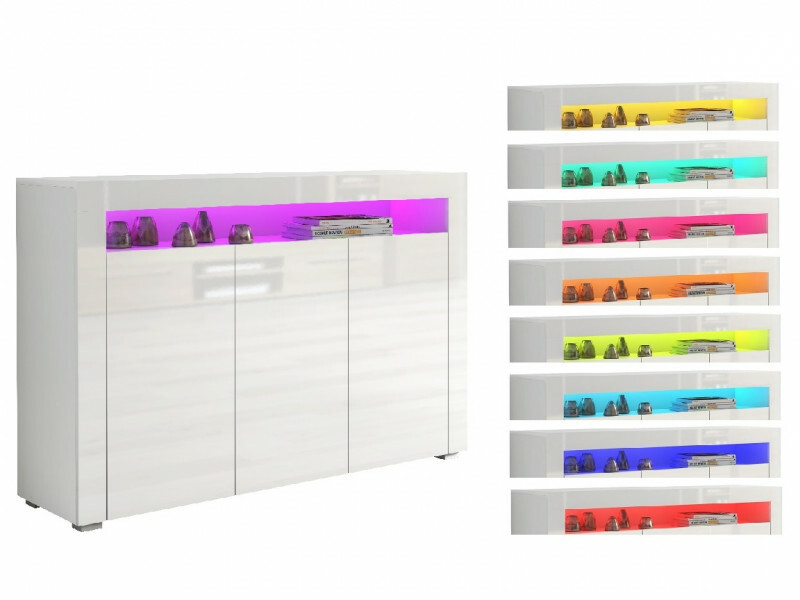 There is one internal shelf behind each door. The height of the open compartment at the top of the sideboard is 18.5cm. 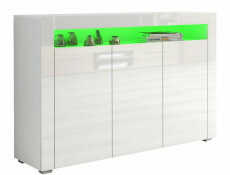 Size of the unit: 93 cm (H); 134.6 cm (W); 40 cm (D). 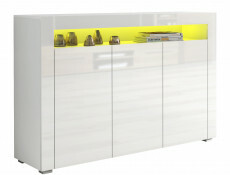 Contemporary, stylish design and solid construction.